For additional information about this book, visit the website www.myrotaryjourney.com. In 1990, a group of people intervened to give Wooj Byun a new life. They were not celebrities with enormous bank accounts or superheroes with long, flowing capes. They were humble Rotarians from Busan, Korea, Byun’s hometown. Their gift? A Rotary International Ambassadorial Scholarship. With this simple gesture, they created the path for Byun to become an American student, lawyer, global citizen— and Rotarian. From that moment on, Byun was committed to Rotary’s motto of “service above self.” Originally joining Rotary as a way to pay back his scholarship, he quickly embraced the organization’s giving spirit, freely donating his time and talents to help make the world a better place. 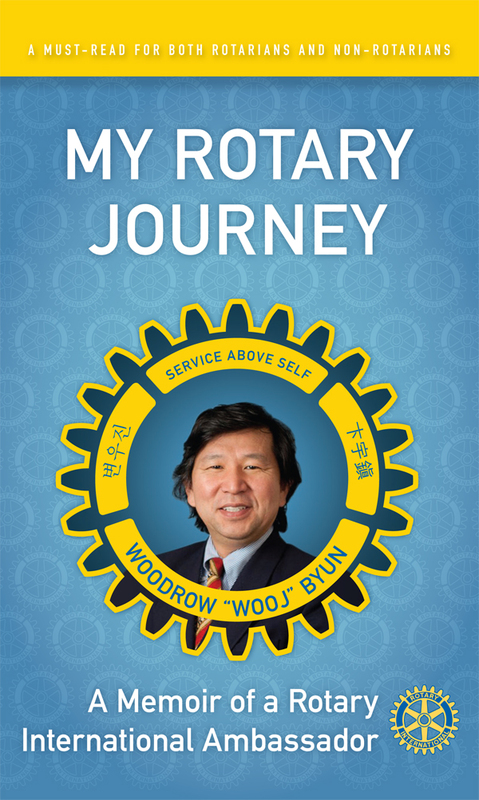 In My Rotary Journey, Byun details how he tutored a group of elderly Korean immigrants so they could pass the US citizenship test, organized a concert by a disabled Korean pianist to inspire a boy with the same handicap, wrote multiple books to help Koreans in the United States understand the legal system, helped an adopted American woman find her birth mother in Korea, and was a tireless cheerleader for Rotary locally, nationally, and internationally by serving as president of the Rotary Club in Edina, Minnesota. With his own brand of wit and an observational style that could only come from a true global citizen, Byun shares his heartfelt and humorous personal stories, aiming to inspire young and old to become a new generation of Rotarians and take up the call of service above self.